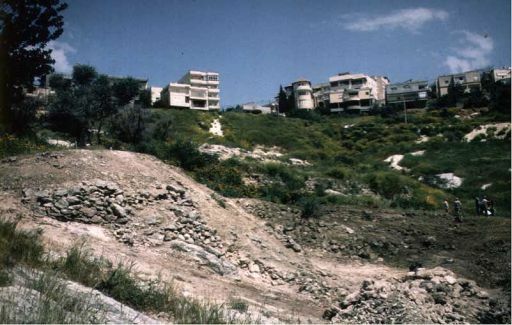 Last century’s excavations of Nazareth by the Franciscans led to a rather remarkable reconstructed picture of the domiciles and government of this New Testament town. After having uncovered a little more than an acre of rocky surface with little or no evidence for walls, Bagatti and his team probed the numerous holes in the surface to find scores of intact storage caves, cisterns, silos and installations. With nothing more to build upon, the domiciles of this Galilean village appeared to be caves in a rocky hill, which could have housed only a few hundred inhabitants. 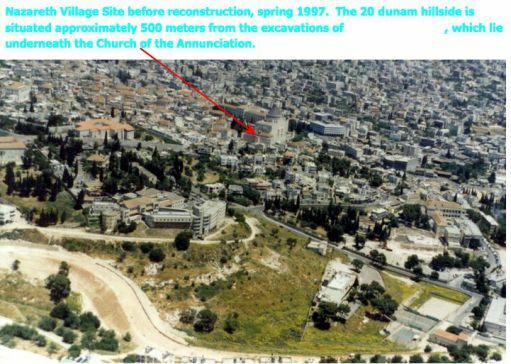 In an area just 500 meters away from the remains of the ancient town and present Basilica, the staff of the University of the Holy Land surveyed and excavated a farm and stone quarries associated with the town’s construction and the livelihood of its inhabitants. Remains from the first centuries BC and AD were found including pottery, watch towers, agricultural terraces and a wine press. Advanced methods of viticulture and agriculture was practiced at the farm as has been revealed by excavations of the early terrace systems. 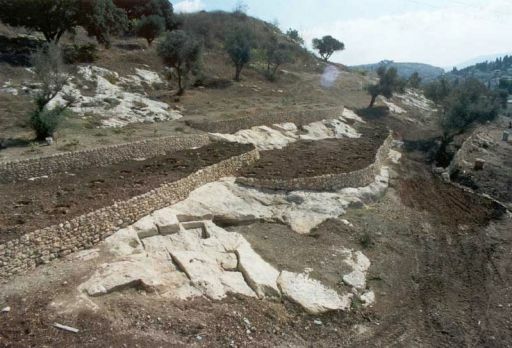 An ancient terraced road was also found cutting though the farm connecting ancient Nazareth with nearby Sepphoris and Jaffia. Coins from this period were also unearthed in other excavations in the vicinity of the town’s spring. Little doubt can now persist that the Nazareth of the Second Temple Period, Jesus and his fellow townspeople, was a bustling Galilean town. The official final publication of these excavations has just appeared recently in the Bulletin of the Anglo-Israel Archaeological Society vol. 25 (2007) pp. 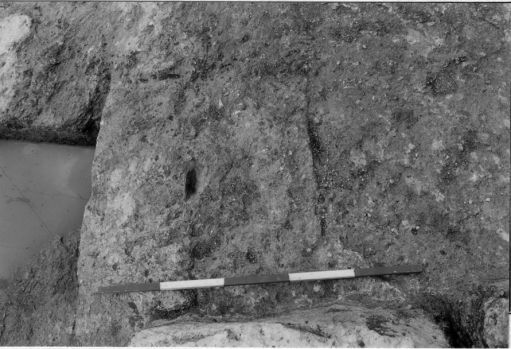 19-79: S. Pfann, R. Voss, Y. Rapuano, “Surveys and Excavations at the Nazareth Village Farm (1997–2002): Final Report”. The summary of the ceramic finds from this rather lengthy article has been provided by Antonio Lombatti here.